Let’s navigate the Rocky Mountains in style! My answer to fun, colorful summer clothes is here! Banana Republic has collaborated with designer Trina Turk to launch a line of bright prints at reasonable prices ($34 – $150). Trina Turk’s swirly patterns and bold colors are popular among celebrities from Taylor Swift to Eva Longoria. By partnering with Banana Republic, the designer is bringing her Palm Springs inspired looks to the masses. In addition, she is expanding the Mr. Turk menswear collection and she recently rolled out jewelry, sunglasses, stationery and bedding. The Trina Turk lifestyle has endless possibilities! 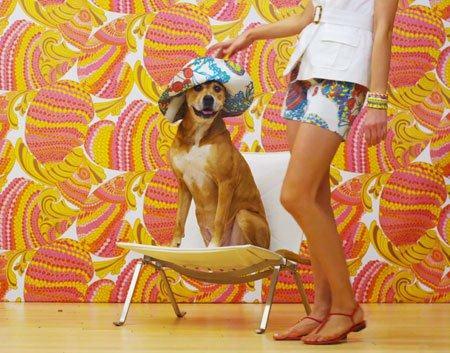 This ingenious video adds a playful element to Trina Turk’s prints and brings awareness to the American Society for the Prevention of Cruelty to Animals (ASPCA). After watching the clip, I’m not only motivated to browse Banana Republic’s newest collection, I’m tempted to adopt a greyhound from the local animal shelter. The 60-piece Trina Turk collection will launch in select Banana Republic stores and online at BananaRepublic.com on June 7, 2012.